EDITORIAL – How come parking rate increases suddenly make sense? HAPPY NEW YEAR, especially to anyone wanting to park in downtown Kamloops. In keeping with the spirit of the season, the City has increased downtown parking rates as of New Year’s Day. It will now cost you $1.50 an hour, then $3 for a third hour. That’s an increase of 25 cents for the first two hours, 50 cents for the third. 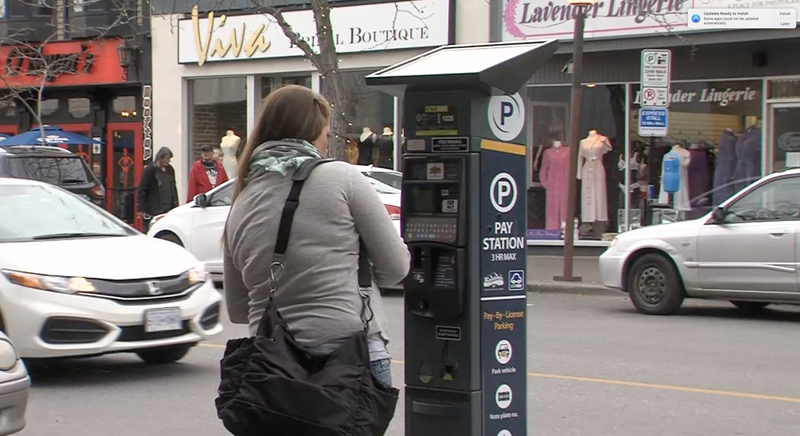 That makes parking in downtown Kamloops more expensive than it is in Kelowna. And downtown parking is free in Prince George and Quesnel, which seems to suggest there’s no law of nature that it’s absolutely necessary to charge for downtown parking spaces at all. But we need to remember that the increases were originally supposed to go into effect a year ago. The idea was put on hold after a last-minute plea from the Kamloops Central BIA, which reversed its earlier support for the increase. Last year’s delay wasn’t the first time council has chickened out, either. They did it in 2014, too. This year, no delegations, no debates by council, no reprieves. The kiosks that replaced the old meters in 2013 were supposed to reduce maintenance costs. But those kiosks, which were bad enough to begin with, are now sadly out of date. The one-year moratorium during 2018 was supposed to be used to improve them, but nothing has changed. Gradual increases to parking rates were first approved five years ago and, stalling aside, they’re a fact of life. But wouldn’t it be fine if, in return, we at least got kiosks that don’t make us crazy? 2 Comments on EDITORIAL – How come parking rate increases suddenly make sense? We need a unified parking protocol throughout the city, including TRU, the hospital, the airport, etc…but that idea is too rational, therefore will never happen. BTW, the kiosks Impark uses are monumentally better than the kiosk used by the city. We need city council to be made up of people who “know and understand” not just made up of people concerned with their social status, of cozy conformists. Ok that will never happen so screw morals and values and let’s get on the receiving end of the City’s ongoing wasteful largess!